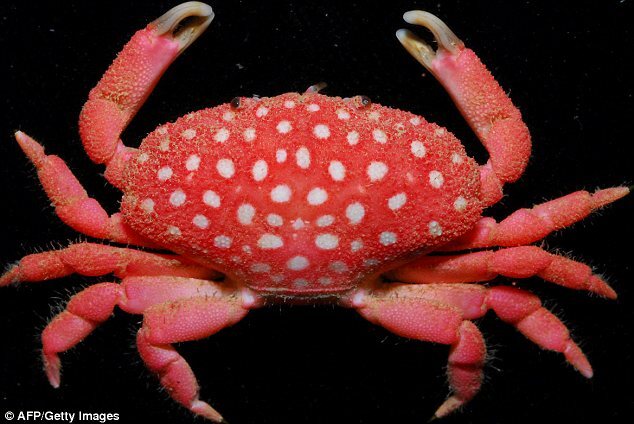 The most distinctive thing about a Strawberry Hermit Crab is its color. Generally bright strawberry red in color with white granual markings, with shiny gray-black eyes. They have thick bodies and thick legs for climbing.